William Coulter is an internationally acclaimed, Grammy award winning master of the steel-string guitar. His most recent recording Fire & Grace, with Canadian violin virtuoso Edwin Huizinga, is an eclectic collection of Classical and Traditional music. Coulter has been Music Director for Tomaseen Foley’s A Celtic Christmas since 1998, and has performed with the Santa Cruz Baroque Festival, Apollo’s Fire and many other ensembles. In March of 2016 he debuted Celtic Journey, a full length pops concert with the Omaha Symphony featuring Irish singers, dancers, musicians and storyteller. Collaborations have been a mainstay of his career including tours and recordings with Gourd Music artists Neal Hellman and Barry and Shelley Phillips; classical guitar virtuoso Benjamin Verdery, and Irish flute wizard Brian Finnegan. His trio, One Lane Bridge, with fiddler John Weed and cellist Aria DiSalvio released it’s first CD in 2014. Tours have taken him around the states and to Ireland, Europe, Taiwan and most recently to Chile. 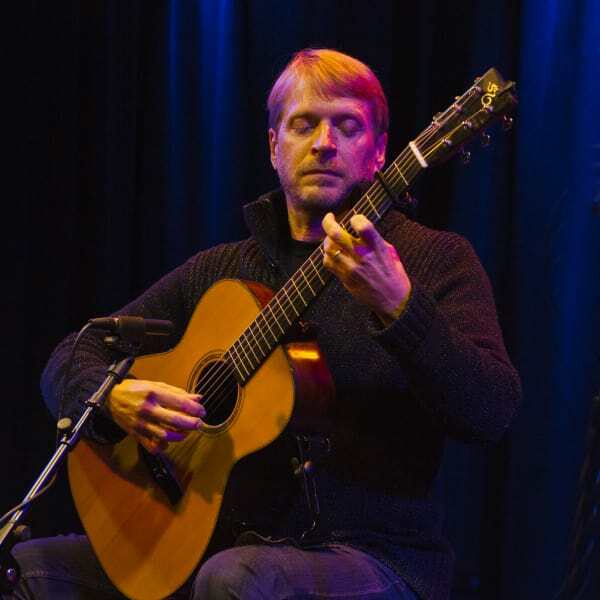 Coulter teaches classical guitar at UC Santa Cruz and at many summer camps and festivals. Upcoming projects include a new recording with Native Irish singer Eilis Kennedy, and performances with the Edwin Huizinga. Coulter earned degrees from the San Francisco Conservatory of Music and UC Santa Cruz.